Joe Jonas and DNCE Are Ready For the Holidays! We had a chance to catch Joe Jonas and his band DNCE at Jingle Ball 2015. It seems that after a hectic time touring they are ready for some much needed holiday rest! 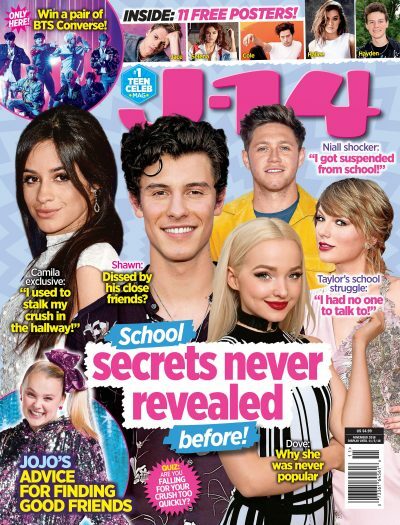 Joe took the time to exclusively chat with J-14 at Jingle Ball, and he let us know exactly what he's looking forward to regarding the holidays! "I think we need to catch up on the sleep we didn't have on this tour," said Joe regarding Jingle Ball and the band's holiday plans. "But it's been great, we've been able to meet a lot of great artists, and the tour has been a lot of fun." We love DNCE and we totally understand that they might need a break! Especially when it comes to the holidays, when many want to spend time with friends and family after a hectic year. What are your holiday plans? Are you excited to have some time with friends and family, plus rest as well? Let us know in the comments!